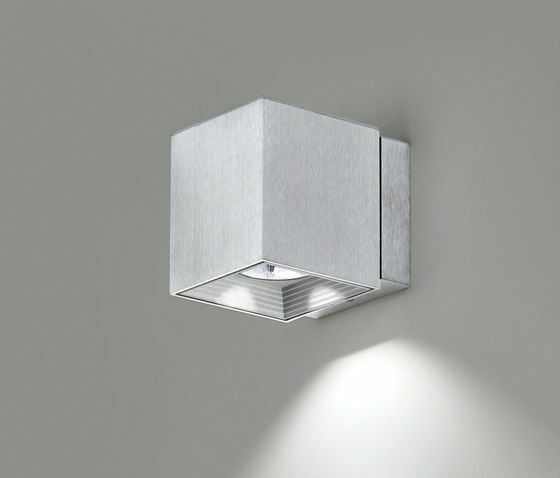 This wall-mounted lamp is the LED version of our bestselling model DAU Spot. It features the same 80 x 80 mm aluminium profile, and an injected aluminium inner piece has been designed which serves both to anchor the LED and its reflector (with 50º aperture) and house the driver and as a heat dissipater. The LED and driver used are the same as those incorporated in the Bridge, Marc and Neva series so successfully, thanks to which we are in the range of most efficient LEDs on the market, with a luminous efficiency of 1,010 lumens, but with a direct current of only 350 mA, with all that that signifies in terms of the reliability and life of our luminaires.